Your contributions to a qualified 401(k) may lower your tax bill and help you build financial security. Either one can help you build financial security. "Retirement savings plans such as 401(k)s offer tax benefits," says South Carolina CPA Roberta M. Floor. "You need operating money for bills and food, savings money for emergencies and distance money for retirement. A 401(k) is money for your retirement." Traditional tax-deferred 401(k)s used by self-employed savers without any employees are sometimes referred to as "Uni-ks" or “Solo-ks." Let's assume your salary is $35,000 and your tax bracket is 25 percent. When you contribute 6 percent of your salary into a tax-deferred 401(k)— $2,100—your taxable income becomes $32,900. The income tax on $32,900 is $525 less than the tax on your full salary. So not only do you get savings for retirement, you save on taxes today. You also save taxes on the earnings your traditional, SIMPLE or Safe Harbor 401(k) makes. When you put money into a bank savings account, for example, you pay taxes on any interest it earns every year. If you contribute $100 a month into a traditional 401(k) that earns 8 percent, you could amass more than $150,000 of tax-free retirement savings over 30 years and save almost $50,000 in taxes as your earnings compounded. Using a tax-deferred 401(k) does not mean you never pay taxes, however. Participants pay Uncle Sam when they withdraw their earnings and contributions. Withdraw money early, though, and you pay taxes and a 10 percent penalty. The IRS lets you begin to withdraw without a penalty at age 59 1/2, and requires you to begin withdrawing by April 1 the year after you turn 70 1/2. Savers who believe their income during retirement will be low usually opt for a traditional 401(k). Those who predict they will have more income and fall under a higher tax bracket when they leave the workforce prefer the Roth 401(k). 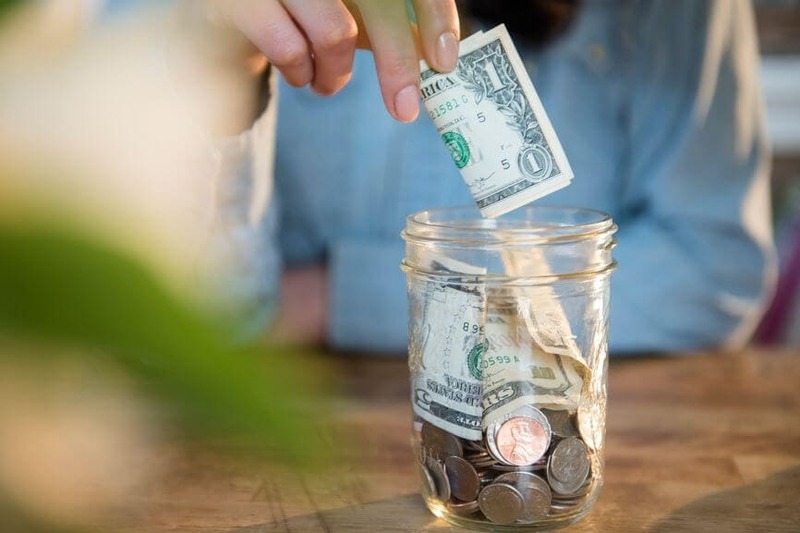 Among other things, the tax savings you get with a Roth 401(k) depends on the difference between your tax rate while employed and your future tax rate during retirement. When your retirement tax rate is higher than your tax rate throughout your working years, you benefit tax-wise with a Roth 401(k) plan. Taxpayers have the option of funding both a Roth 401(k) and a tax-deferred 401(k). The IRS adjusts the maximum contribution amount to account for cost-of-living and announces the annual limits for each type of 401(k) at least a year in advance. Traditionally, the agency has provided an additional contribution option for savers age 50 and older to enable them to prepare for their pending retirement - $6,000 in 2018. Based on your income and filing status, your contributions to a qualified 401(k) may lower your tax bill more through the saver's credit, or retirement savings contributions credit. "The income ceiling amounts are set low as an enticement for lesser-income taxpayers to put money aside for retirement," says Floor. The saver's credit directly reduces your taxable income by a percentage of the amount you put into your 401(k). Since its introduction in 2002, this credit for retirement savings has ranged from $1,000 to $2,000. Eligible taxpayers calculate their credit using form 8880 and enter the amount on their 1040 tax return. "Some wonder if they can afford to save 2 percent for retirement and still pay their bills, when the better question might be, "How can I reduce my bills by 2 percent and save?" says Floor. Video: Do Social Security Recipients Pay Income Taxes?